Being bald means thinking about hair (or scalp) care in a whole new light. Fortunately, taking care of a shaved head is easy with these six tips. 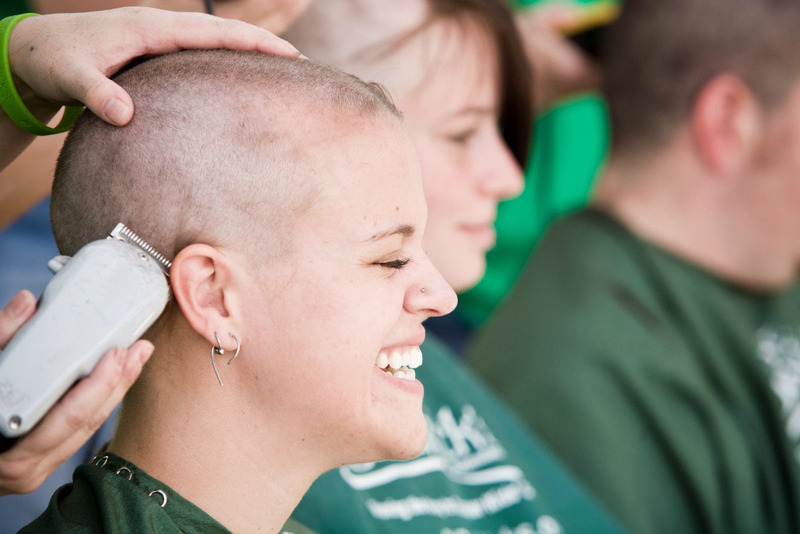 Every year, tens of thousands of men, women, and kids shave their heads for the St. Baldrick’s Foundation. They do it for one reason: to cure cancer. Whether you’ve recently shaved or you’ve been sporting the no-hair look for years, do you know the best bald head care practices? 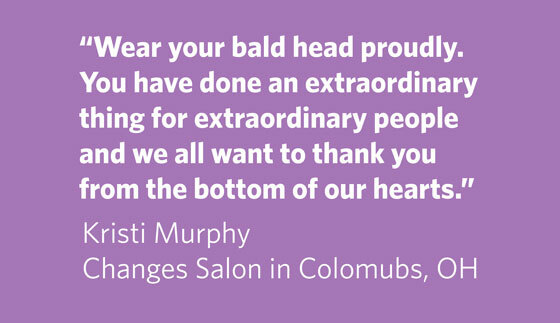 Neither did we, so we turned to the men and women who have helped more people go bald than anyone else we know: our St. Baldrick’s barbers. Those tiny hairs on your head may be hard to see, but they still need some love! Oils and dirt can build up on a bald scalp, so be sure to use a dab of shampoo when you shower and follow up with a moisturizing conditioner to keep that head flake-free. And while soap or body wash may seem like an easy option, they can have a drying effect. It’s best to stick with products made for hair. 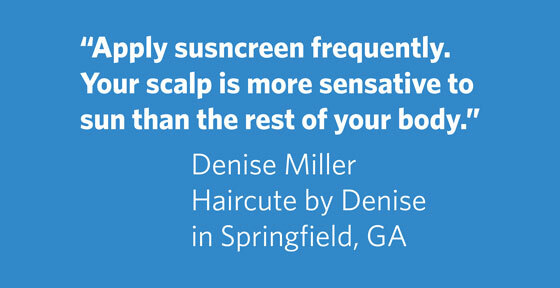 Even on cloudy days, spending time outdoors can leave you with a scorched scalp, so don’t skimp on the sunscreen for your head, ears, and neck. Especially during the dry winter months, or if your head gets a little too much sun, your scalp can become dry and rough. Get hydrated by drinking plenty of water and using a sensitive-skin moisturizer on your head. Some people say that rubbing a bald head brings good luck. That may or may not be true, but our barbers let us know that stimulating your scalp promotes good blood flow and encourages healthy hair growth. Here’s how to do it: Starting with all 10 fingertips on your head, apply gentle pressure and move your fingers around your scalp, working from your forehead, to the crown of your head, and down to your neck. It’s easy to do on your own — or you could try convincing a loved one that rubbing your bald head will bring them good fortune. Walking around with your newly-shorn head, you’re bound to get some questions. Be ready with some good answers! Let people know that you shaved your head with St. Baldrick’s to raise money for children’s cancer research. Pediatric cancer is the number one disease killer of our children, and researchers need better funding to find cures. Get more ideas from this infographic, and let people know that they can still donate on your fundraising page at StBaldricks.org. Many of our shavees say that shaving their head gave them a boost of confidence, and we think that’s great. In fact, we want to see your bald head! Post a photo of your bald self with the hashtag #baldselfie to join in the fun on Twitter or Instagram. Ready to rock the bald? Sign up to be a shavee and help fund lifesaving childhood cancer research.